I really enjoyed the Long Canyon Trail. I drove it eastward. I met a Jeep driver at Gemini Bridges who said he drove Long Canyon going west because he thought it would be more "interesting." I agree, and next time I visit I want to drive it westward. 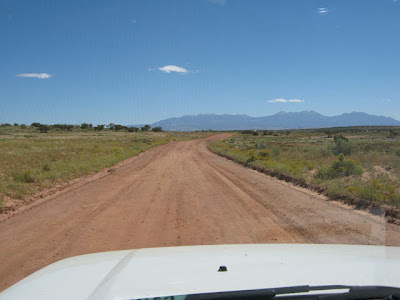 Going east, the trail begins as a graded dirt road. 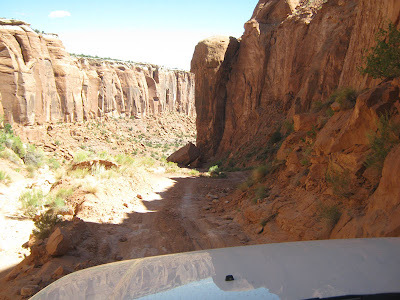 Then it starts heading down canyon and soon becomes narrow and slightly steep with soft sand while the canyon walls tower on each side. This is trail #18 in Wells' book (rated easy) and trail #6 in Massey's book (rated 3). 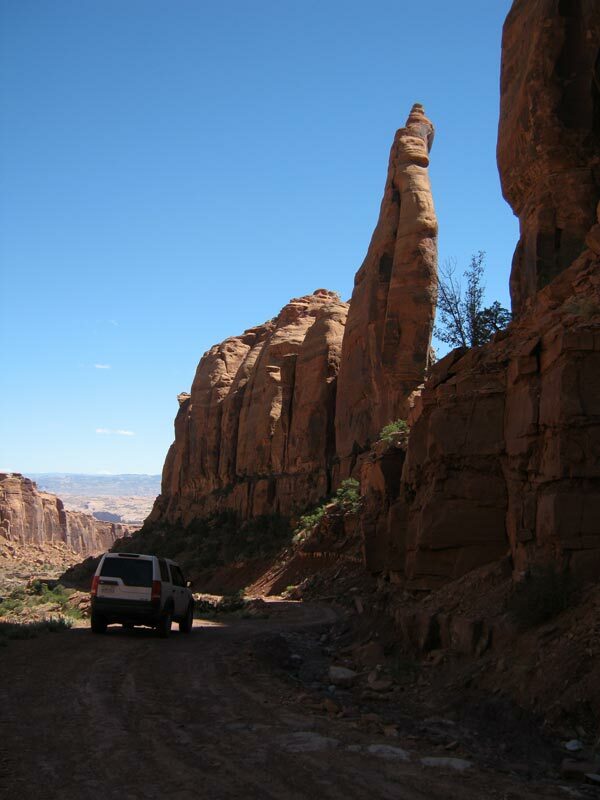 The most famous part is the huge rock formation that the trail dirves right underneath. The road there is steep and very uneven. That's the only section where I had to raise my rover's suspension. I'd read someplace that the big rock fell from above around 1996-1997, but now I can't find that source. 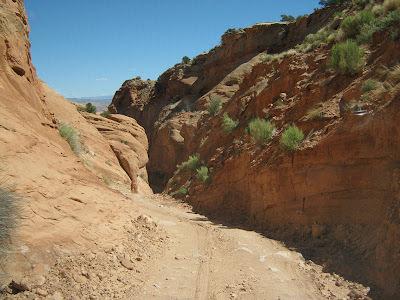 After the fallen rock, the trail continues to wind down the canyon. 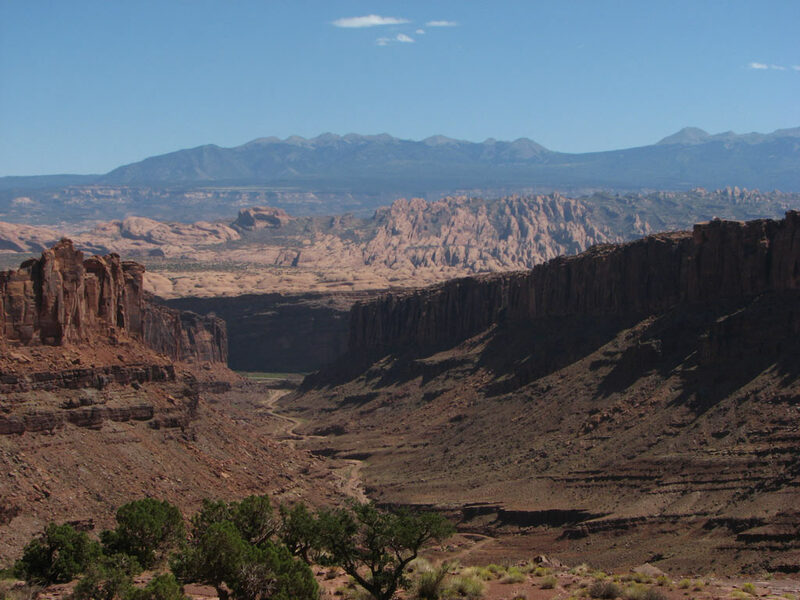 About half way down the canyon you are treated to a great view to the east. I got out several times to take photos. 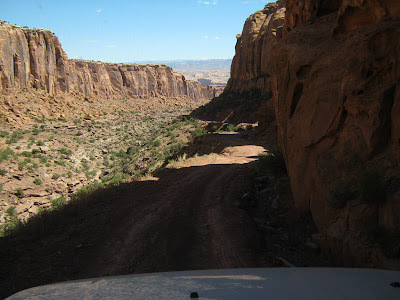 Although it's short, this is a great trail. This BLM web page describes the Shafer Trail and Long Canyon Trail as a nice loop. 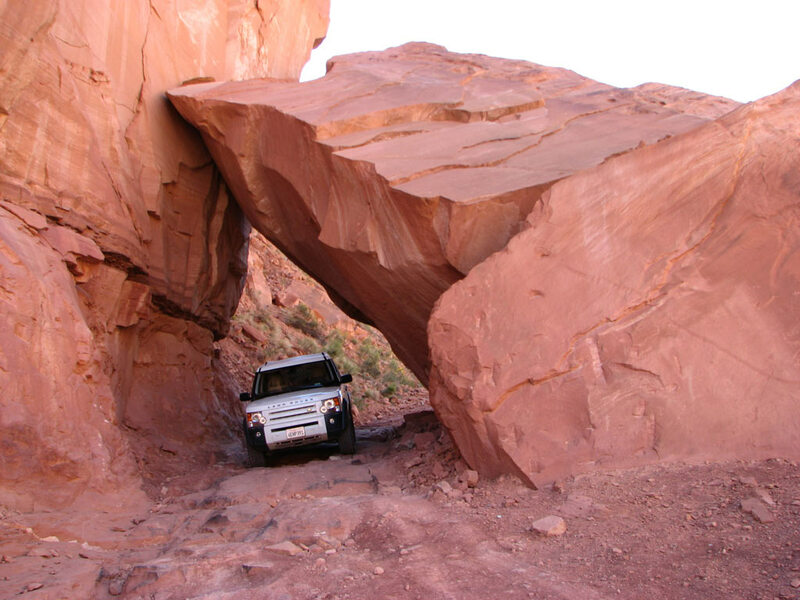 That's not a bad idea for an easy half day trip out of Moab. Zion NP Gets a New Subway?